The Sportline Solo 915 heart rate monitor is a strapless heart rate monitor that uses S-Pulse technology to measure your heart rate. It is ECG accurate. It does not require a chest strap transmitter. To measure your heart rate, simply touch anywhere on the stainless steel case (Any Touch Technology) on the wrist watch for 3 to 8 seconds for the heart rate to be displayed. The Solo 915 measures heart rate on demand, rather than continuously. The Solo 915 is one model up from the Solo 910 model. The features printed in bold are found in the Solo 915 model but not in the preceding Solo 910 model. There is also a version for women as show below. In contrast to other models, the Sportline Solo 915 lets you measure heart rate simply by touching anywhere on the metallic case, instead of having to press at the particular position where the sensor is. That is a convenience feature making it easier to measure heart rate. 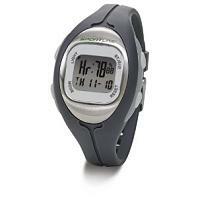 There is also a calorie counter which you can start and stop. The important thing is to measure your heart rate before, during and after your exercise, in particular when you change intensity, since the calculation of calorie burnt is based on the heart rate measured. 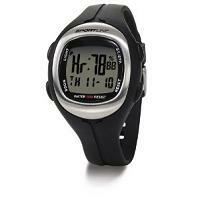 The Sportline Solo 915 is an on-demand strapless heart rate monitor. 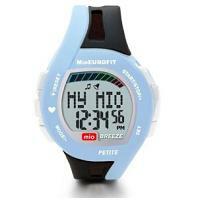 It measures heart rate, has a stop watch, a countdown timer and a calorie counter. In addition it provides Any Touch Technology for added convenience.